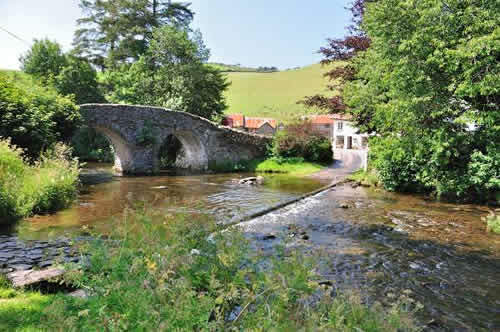 The ancient and narrow packhorse bridge can be seen on the left. Motor vehicles use the ford! (In the gap over the bridge is what has come to be known as "Lorna Doone's Farm" referring to the secret hideaway of the outlawed Doone family.When you are on Exmoor, hang on to the fact that all these references are to a work of fiction !